All Religious Education (CCD) classes for Mary, Gate of Heaven parish are held at St. Mary Parish Center, 45 Church Street. Classes start the week of September 11 and end in April. First day class lists will be posted in the lobby by grade. KINDERGARTEN: Attendance at Kindergarten level CCD classes is not required for admission to Grade 1. Classes are held 1-2 Sundays per month from 9:30-10:30 AM. Registration is for about 20 children and is on a first come / first served basis. GRADES 1,2,3,4,& 5: Classes are held on Tuesday or Wednesday (parent's choice of day) from 4:15-5:15 PM. GRADES 6 & 7: Religious education classes are held on Monday afternoons from 1:35 - 2:45 PM or Tuesday evenings* from 7:00 - 8:15 PM. *One class is offered for Grades 6 & 7 on Tuesday evening for those students who go to magnet schools, live out of town, or cannot attend an afternoon class due to special circumstances. If needed, Grades 6 & 7 may be held on Monday evening also. You must have a valid reason and approval from the DRE. GRADE 8: Classes for grade 8 Tuesday evenings from 7:00 - 8:15 PM. As this grade is part of the preparation for Confirmation, attendance is essential. One additional class will be held on Monday evening, 7:00-8:15 PM, if necessary. GRADE 9: Classes for Grade 9 meet on Monday evenings from 7:00 - 8:15 PM weekly, unless there is a holiday (consult calendar). additional classes are held on Tuesday evenings, 7:00-8:15 PM. This is the final preparation year for Confirmation and all classes must be attended. No more than 2 classes may be made up. 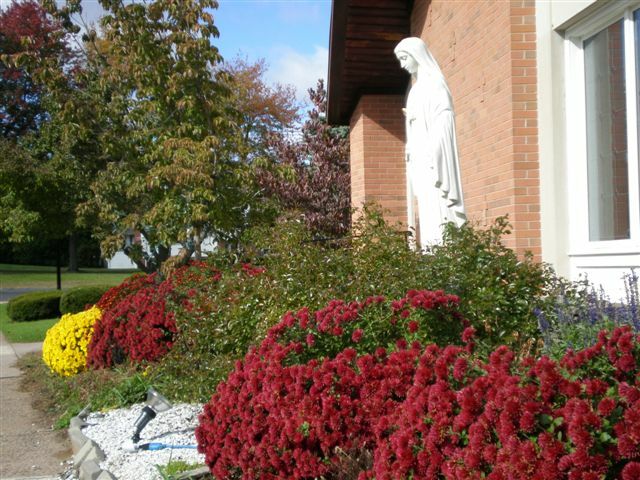 GRADE 10: Students who have completed the curriculum over a period of 2 years in grades 8 & 9 and have successfully passed a test on their Catholic faith may attend Confirmation preparation classes, which are usually held on one Tuesday each month in May, September, and October. Confirmation date wikll be announced soon.